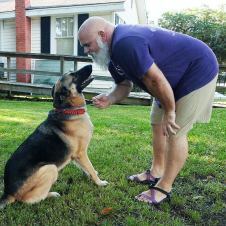 Dog Daze is your one stop shop for the best pet care services in Charleston: Boarding, Daycare, Grooming and Training. Our boarding facility has been serving the Charleston area in one form or another since 1955. Our boarding options include indoor-outdoor runs and spacious cageless suites. Our staff is here 24hrs a day to be your best friend’s best friends while you are away. During the day, all of our sleepover guests enjoy access to our Doggie Daycare program, which includes outdoor group play, basic obedience reinforcement (sit, stay, come), the establishment of good manners and enrichment toys. We have three large yards for our furry friends to expell every ounce of energy before they come inside to rest comfortably in our climate controlled runs and suites. Sometimes, when we play hard, we get dirty. 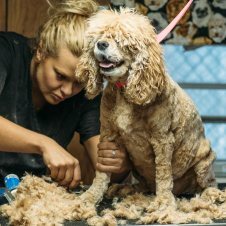 We offer all-natural baths and coat conditioning. We also offer fantastic show-quality grooming by appointment only. Charlie is a canine recruiter for the National Disaster Search Dog Foundation. The NDSDF produces the majority of the FEMA certified Live Recovery Rapid Response Disaster K9s. These are the most highly trained and specialized search and rescue dogs in the world. Every time there is a tsunami, an earthquake, a Katrina or 9/11-type event, these are the dogs and handlers that get deployed. Charlie helps by scouring the shelters in the region for that one in a million canine recruit. All of the dogs at the NDSDF come from shelters. It’s an amazing process. If you are interested in learning more, go to Search Dog Foundation’s website. You too can “Join the Search”.  At Dog Daze, we provide the best possible care for your four-legged family member. Our goal for the dogs in our care is to create an environment that closely mirrors their existance in the natural world. Exercise, stimulation, socialization and the freedom to play are paramount to making dogs happy. 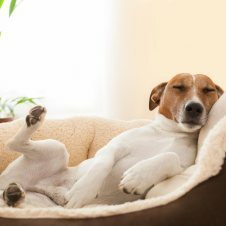 The canine brain is ill-equipped for two states of being: being alone and being confined. Leaving your dog at home in a crate all day is hard for them. Many unwanted behavior issues can spring from an overall lack of stimulation and exercise. 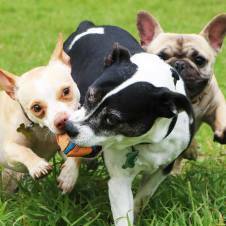 Nothing benefits a dog more than the opportunity to play and socialize freely with other balanced, well-behaved dogs. Our dogs are allowed to be as active as they want to be. At night, they sleep like babies.